But one night in the early 1970’s, we were together in Monterey at one of the first elaborate dog-and-pony shows for technology stocks – then known as “The Monterey Conference” – put on by the American Electronics Association. At the Monterey Conference, Father exhibited another quality I never forgot. The conference announced a dinner contest. There was a card at each place setting, and each person was to write down what he or she thought the Dow Jones Industrials would do the next day, which is, of course, a silly exercise. The cards were collected. The person who came closest to the Dow’s change for the day would win a mini-color TV (which were hot new items then). The winner would be announced at lunch the next day, right after the market closed at one o’clock (Pacific time). Most folks, it turned out, did what I did – wrote down some small number, like down or up 5.57 points. I did that assuming that the market was unlikely to do anything particularly spectacular because most days it doesn’t. 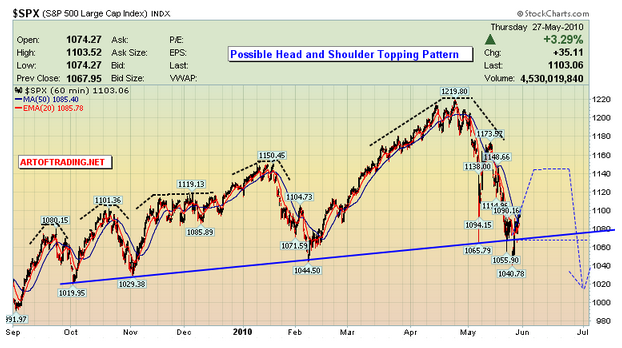 Now in those days, the Dow was at about 900, so 5 points was neither huge nor tiny. That night, back at the hotel room, I asked Father what he put down; and he said, “Up 30 points,” which would be more than 3 percent. I asked why. He said he had no idea at all what the market would do; and if you knew him, you knew that he never had a view of what the market would do on a given day. But he said that if he put down a number like I did and won, people would think he was just lucky – that winning at 5.57 meant beating out the guy that put down 5.5 or the other guy at 6.0. It would all be transparently seen as sheer luck. But if he won saying, “up 30 points,” people would think he knew something and was not just lucky. If he lost, which he was probable and he expected to, no one would know what number he had written down, and it would cost him nothing. Sure enough, the next day, the Dow was up 26 points, and Father won by 10 points. When it was announced at lunch that Phil Fisher had won and how high his number was, there were discernable “Ooh” and “Ahhhh” sounds all over the few-hundred-person crowd. There was, of course, the news of the day, which attempted to explain the move; and for the rest of the conference, Father readily explained to people a rationale for why he had figured out all that news in advance, which was pure fiction and nothing but false showmanship. But I listened pretty carefully, and everyone he told all that to swallowed it hook, line, and sinker. Although he was socially ill at ease always, and insecure, I learned that day that my father was a much better showman than I had ever fathomed. And, oh, he didn’t want the mini-TV because he had no use at all for change in his personal life. So he gave it to me and I took it home and gave it to mother, and she used it for a very long time. 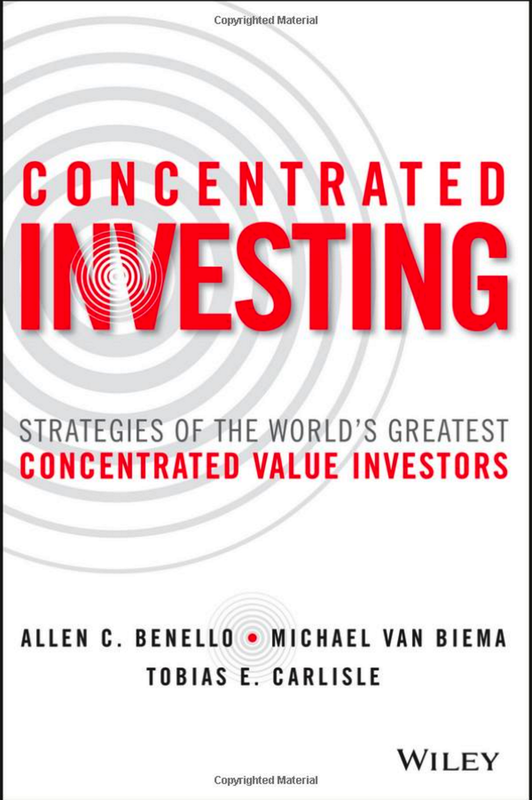 Common Stocks and Uncommon Profits and Other Writings is, of course, required reading for all value investors. 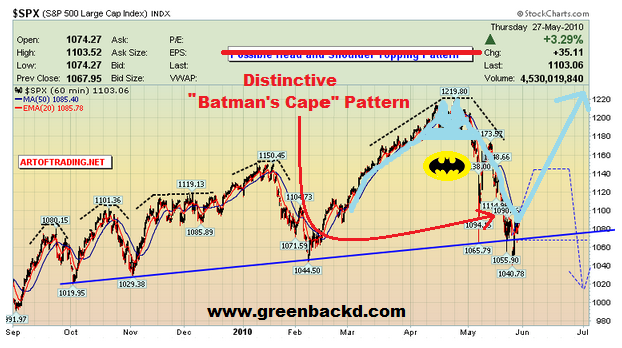 I remember the old “Bat cape” trade of March ’09. When you see the Bat symbol, get on the right side of Batman. In keeping with our penchant for stories about idiosyncratic investors who trade in odd securities found off the beaten track, we bring you perhaps the best unknown activist investment of 2009. With a far away land, a young protagonist, an odd treasure, an unexpected twist and a narrow escape, it’s a bullwhip and a fedora short of being an Indiana Jones movie. In the role of young protagonist is Nicholas Bolton, a 27-year old investor who made A$4.5M ($4M) almost bringing down BrisConnections, the developer of a A$4.8B ($4.3B) Australian toll road. What’s most amazing is that he achieved this with an initial stake worth just A$47,000 ($42,000). In so doing, he became the bête noire of his fellow BrisConnections investors, attracted the attention of the Australia Securities and Investments Commission (similar to the SEC) and drew the ire of the Australian media, who variously described him as a “meddling kid,” “Australia’s foremost prat,” “the ultimate poster-boy for the much-maligned Generation Y” and “the best proof that karma does not exist.” How did he do it and why all the vitriol? Read on. Several unusual elements make the Nicholas Bolton versus BrisConnections story reasonably complex. Bear with us, to understand the story it’s necessary to understand the BrisConnections security in detail. BrisConnections, backed by Deutsche Bank, Credit Suisse Group, JPMorgan Chase & Co. and Macquarie Bank, raised A$1.23B ($1.16B) in July last year through the sale of an unusual equity security called a stapled unit. The BrisConnections stapled unit is a unit in the trust holding the toll road assets and a share in the corporate trustee. The trust unit and the share must trade together, and hence are said to be stapled. The reasons for creating such a security are beyond the scope of this post, but suffice it to say that stapled securities offer certain tax benefits. What really makes this story interesting is that the BrisConnections stapled units were issued on an installment basis. Installment means that on application purchasers paid A$1 ($0.90) for each stapled unit and were then obliged to make two further installments of A$1 ($0.90) each, payable nine months and 18 months after the IPO. In a world of rapidly rising stock prices, installment securities present no problem. When stockmarkets are in decline, however, the securities can trade down dramatically as investors attempt to avoid paying further installments. The BrisConnections’ IPO tanked spectacularly, dropping 60% on the first day of trading before falling into terminal decline. A few months before the first installment was to fall due, the units had traded down to A$0.001 (that’s 1/10th of a cent). At a unit price of $0.001, a BrisConnections unit became a very dangerous security for those not realising that the units came with two A$1.00 installments for each $0.001 paid. That meant, for example, that a purchaser of $1,000 of the units owed $2M in installments and a purchaser of $10,000 owed $20M. It seems that there were many purchasers at $0.001 who were unable to fulfil their obligations and then decided that they would rather not own BrisConnections units. Unfortunately for them, they had run out of greater fools. As Charlie Munger might say, they were like the mouse who cries, “Let me out of the trap, I’ve decided I don’t want the cheese.” A month out from the first installment, there were ~70M units on the ask at $0.001 – the minimum price at which a security can trade on the Australian Stock Exchange – and no bids. Bolton had started acquiring BrisConnections units through an investment company, Australian Style Investments, in November last year. Before too long, he’d spent A$47,000 to acquire a 15% stake and become BrisConnections largest unitholder. He’d also taken on a A$94M liability, money that he did not have. What he did next comes straight from the World Poker Tour. No, he didn’t fold. He went all in, upping his stake to 19.9%. Why 19.9%? Under Australian law, a purchaser of 20% of a company’s stock is obliged to make a takeover bid to all remaining stockholders. By sitting at 19.9%, Bolton had the option of making a bid for the remaining stock, but not the obligation. He then approached BrisConnections about refinancing the liability. When BrisConnections failed to respond, he moved to have management removed and the trust dissolved. The application achieved its end: It got the attention of management. It was, however, a long shot. Bolton needed the support of 75 per cent of his fellow investors to have the dissolution resolution passed. It was also not clear that it would prevent the fund from collecting the first installment. Under Australian law, the trust had 21 days to call a general meeting and 45 days to hold it, by which date the notice demanding the first installment fee would have been issued. If BrisConnections management was nervous about the dissolution, they didn’t show it in the media. The chairman, a Mr. Trevor Rowe, described the application as “frivolous,” while a spokesman described it as “a mere sideshow to a $5B infrastructure project that is promising to provide 11,000 jobs.” They also made it known that a liquidation of the trust would not extinguish the first A$1 liability owing on each unit. BrisConnections advisers where not so sanguine: one, Macquarie, co-underwriter and financier of BrisConnections, brought an injunction action against him seeking to prevent him from holding the meeting. In a two-minute hearing, the judge did not uphold any of Macquarie’s claims, or grant the injunction to stop the meeting of unitholders from proceeding. It was swift justice, and it seemed to set the scene for something very rare: a highly entertaining general meeting. After succeeding against Macquarie and BrisConnections in an extensive court battle, it seemed that BrisConnections was a general meeting away from dissolution. Bolton held 19.9% of the units on issue, and a sizeable number of the other holders had purchased their units at $0.001. Perhaps sensing that Bolton had the momentum, management told those investors present at the meeting were told their units would be worthless if BrisConnections was liquidated, as BrisConnections would have ”zero value” as a company. Bolton, however, was not one of the investors present at the meeting. Why? He had already voted against the resolutions he had proposed and defended at court. BrisConnections chairman told the startled unitholders present at the meeting that Australian Style Investments had voted against all seven resolutions when its proxies were received several days before the meeting. Accordingly, the special resolution fell short of the required 75% voting threshold. The unitholders might have seen Bolton as a savior after he went to court to ensure the vote took place, but they were cursing his name by the end of the day. What had happened to cause Bolton to vote against his own resolution? I called [Nicholas Bolton’s] adviser and asked him what he had in mind. He mentioned some numbers to me. I said I thought they were pretty excessive and I gave him a lower number. And he said well Mr Bolton needs $5 million otherwise he is not going to do this. And we thought about it and we decided that we would not engage further. I said to him when he proposed a number which I thought was preposterous that it’s more like a two to three [million] number than a seven and half [million] number. I didn’t engage in a negotiation. He’s not going to get (the $4.5 million), I can promise you that. He’s just ruined his corporate life forever. I’d trust Mr Bolton like I’d trust a rabbit with a lettuce leaf. I took a commercial approach to this before buying in. I saw an opportunity to improve the position of unit holders through our entry in the company, and the actions we were planning to undertake. It was a commercial transaction, intended for commercial gain, for unit holders and for myself. To the extent there was an altruistic outcome it was unintended, in that my interests were aligned with the interests of all other unit holders. But there was always a commercial intention on our part. We didn’t seek the tag of white knight, and it doesn’t fit. [Let] me say it would be commercially remiss and foolish of me, on a matter of indifference, not to take a dollar or to leave a dollar. It’s a commercial decision. What’s the lesson? It’s better to be lucky than good? Well, yes, but that’s doing a disservice to young Nick. We think the lesson is that there’s value in the control or influence of a company beyond the underlying intrinsic value of the stock. It’s why we have in the past followed activist investors into stocks when it’s possible that there’s no underlying asset value, and it’s why we’ll do it again in the future. What happened to the other investors? Well, it’s a happy ending for them too. Macquarie Bank has now thrown them a lifeline and agreed to buy their obligations if they give up their holding and 100 per cent of their units for free. 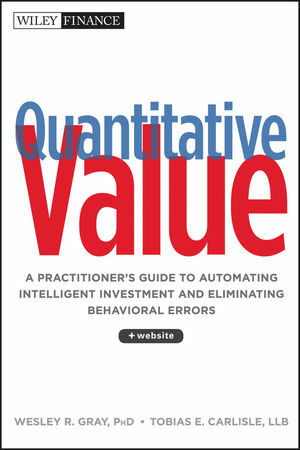 So that’s our nominee for the best unknown activist investment of 2009. Let us know if you’ve got a better one.